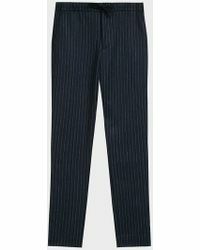 Not just for the office, a pair of pinstripe pants will rework your wardrobe with a polished twist. 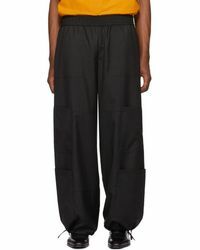 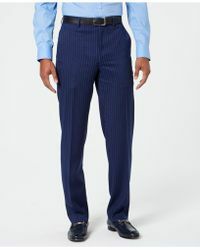 Accented with stripes throughout, these pants are ideal for adding a classic touch to your day-to-day style. 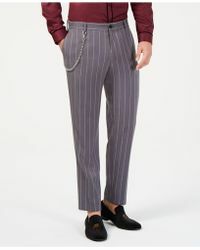 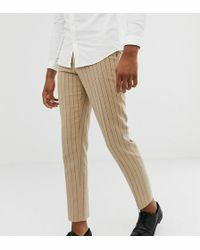 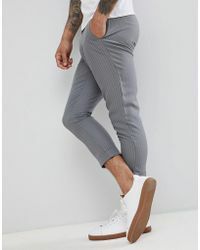 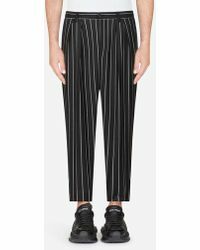 Look through this selection of men’s pinstripe pants to find tailored and casual silhouettes and go for a pair with turn-up hems to style with white sneakers for laid-back weekends.